2 Bedroom Flat To Rent in Leicester for £850 per Calendar Month. 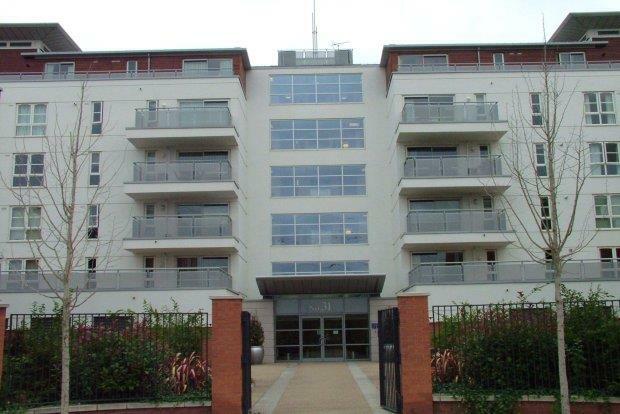 Modern, Executive Property Frank Innes Lettings are delighted to offer this modern, stylish, two bedroom first floor apartment located within the sought after development at Freemans Meadow. The property is ideally situated close to the city centre, and is only a short walk from the Train Station, Leicester University and DeMontfort University. The unfurnished apartment comprises: entrance hall with security intercom facility; family size bathroom with a modern white fitted three piece bathroom suite consisting of panel bath, wash hand basin, and low level W/C; large living room with balcony overlooking the river; separate kitchen with fitted units and roll top worksurfaces and splashbacks, integrated oven and hob, and appliances and two double bedrooms with wardrobes. The apartment further benefits from gas central heating, double glazing, and off road parking. Available for occupancy Mid April 2019! Do not miss out! Call now to arrange your viewing!